Sweden’s Arctic Circle is the place of reindeer herds and traditional nomadic Sami culture, home of the iconic ICEHOTEL and dog sledding. Frozen for much of the year, the Arctic’s summer face is one of rushing rivers and wild flowers giving vibrance the desolate landscape. 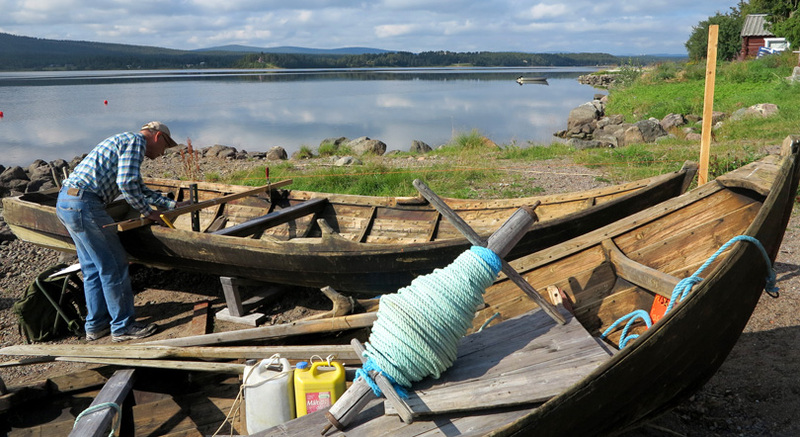 A rhythmic ‘tonk, tonk, tonk’ breaks the silence on the banks of the Torne River. It is so quiet here that any sound reverberates and seems intrusive. 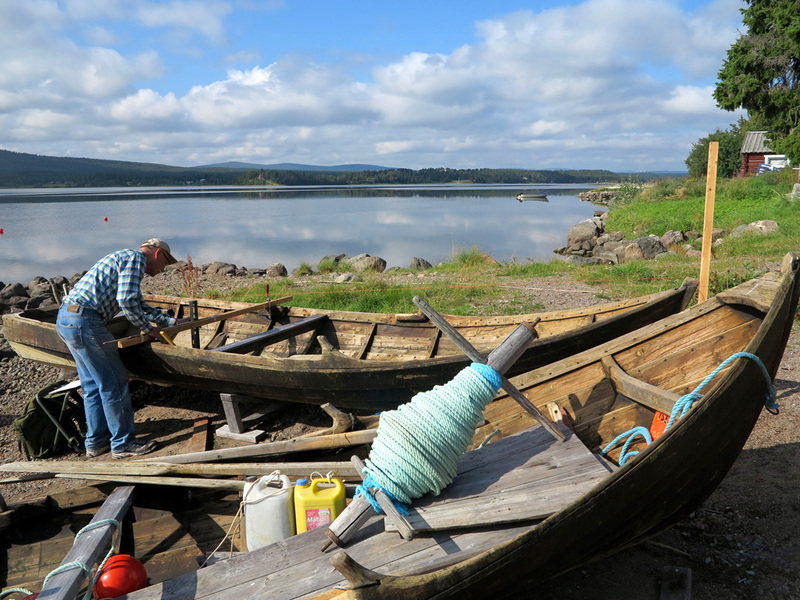 We trace the tonking to an intrepid boat builder meticulously repairing the wooden struts on a traditional nuut boat. He’s so focused, he hardly looks up to talk to us, as we ask about the piles of net and rope bundled in the boat. Instead, he explains the timeless beauty of these Arctic river boats used for fishing, how robust they are and their superb design. We listen intently as his passion speaks. 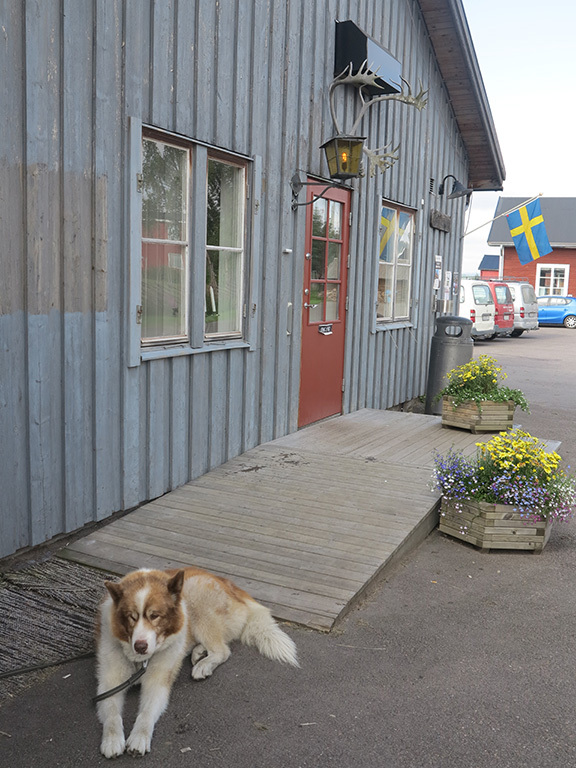 To get here – 200km into Sweden’s Arctic Circle – we took a 17-hour train trip rom Stockholm, straight up the length of Sweden. This vast Arctic wilderness has only tiny remote villages punctuating its sweeping landscape and we’re in one of them: Jukkasjarvi with a population 600 people and 900 dogs. This, because in winter dog sleds are the only transport when the landscape is frozen and dusted fairytale white with snow and ice. But in the summer months, from June to August, the huskies are on holiday too though their wolverine howls can sometimes be heard bouncing across the surface of the Torne River. This wild river travels all the way from Norway, through Sweden to Finland, bringing with it salmon and trillions of litres of pure clean water. Here the river is easily a mile wide, rushing cool and clear. “Right now you’re watching the next ICEHOTEL,” smiles David Lind, who works at the iconic establishment. This it the water that becomes the clear ice from which the ICEHOTEL is built every year. The Torne River provides its building blocks which are harvested from the frozen river each March. At one metre thick, a single ice block weighs two tons. Annual construction starts late November and it takes about 100 construction workers and artists to complete the 65-suite hotel. Everything is of ice. Just imagine – walls, floor, beds, furniture and artwork, even the glasses you drink from at the bar are solid ice. 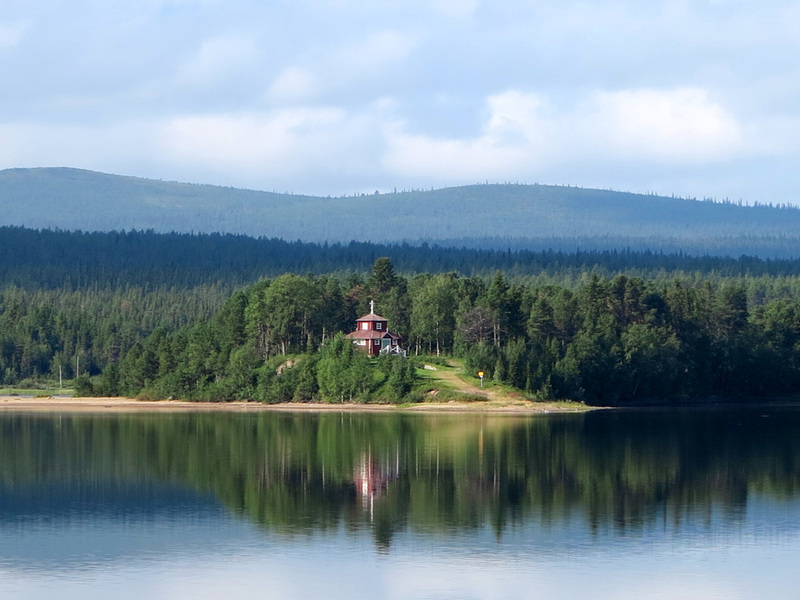 In summer, of course, the hotel has melted back into the Torne River, and wooden cabins provide guest accommodation. 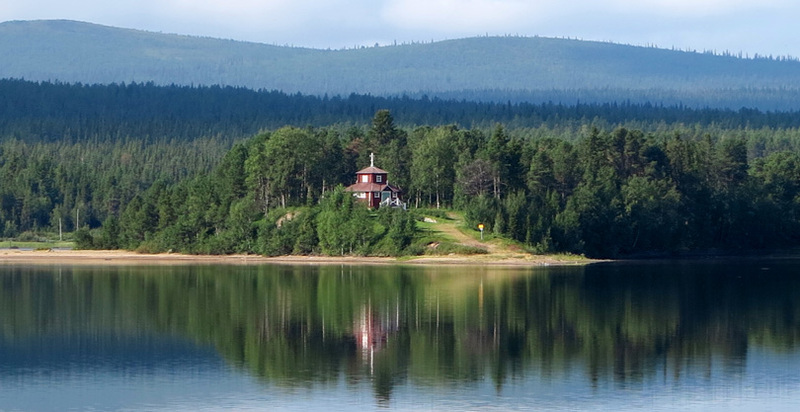 Jukkasjarvi means ‘meeting place at the lake’ in the Sami language. In days gone by these nomads used to gather here to trade, buy coffee and show off a little. Their wealth has always been reindeer. Still today, nearly half of Sweden is reindeer territory and there are 4 500 reindeer owners in the country with 230 000 animals between them. To the nomadic Sami herders, reindeers are life and they move their herds as the seasons change. All of Sweden’s reindeer are owned by someone, there are no longer wild herds. Reindeer are simply too precious for that. No surprise then that the Sami herders’ most important tool is the lasso. He needs to keep his herd together because every part of every one of these animals is needed and used. Reindeer pull the heavy Sami sleds through snow; their fur is the warmest possible with hollow hair that traps heat, so reindeer skins make the finest Arctic-proof clothing, boots and blankets imaginable; sinews are used for stitching and make tough twine; and the meat is delicious and nutritious. They’re the full package to sustain the Sami lifestyle. 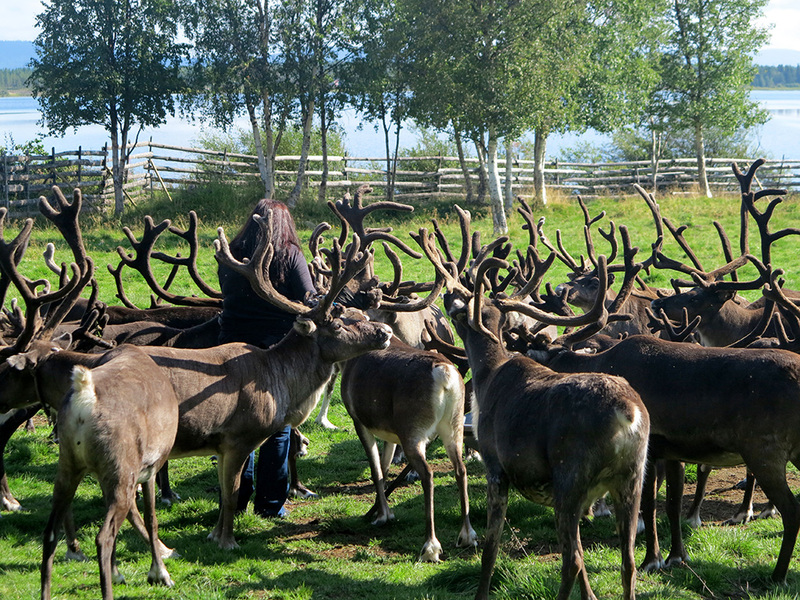 Quickly the reindeer gather around us, sniffing easy pickings of food. And as they walk they click their heels. At first it’s hard to figure out the source, but it’s definitely their heels. And their antlers are soft and velvety, and quite ungainly. We didn’t realise their antlers moult, nor that reindeer come in white and get so tame. Therese herself is basking in the sunshine, sitting outside and carefully stitching an intricate leather and silver thread bracelet. She’s not a Sami, but she’s from Jukkasjarvi and wants to keep their unique culture alive. “This is a traditional Sami adornment,” she says of the soft leather bracelet she is decorating with a complicated silver knot pattern. It will be fastened using a button of reindeer bone. Just about everyone in Jukkasjarvi wears one, and now we do too. 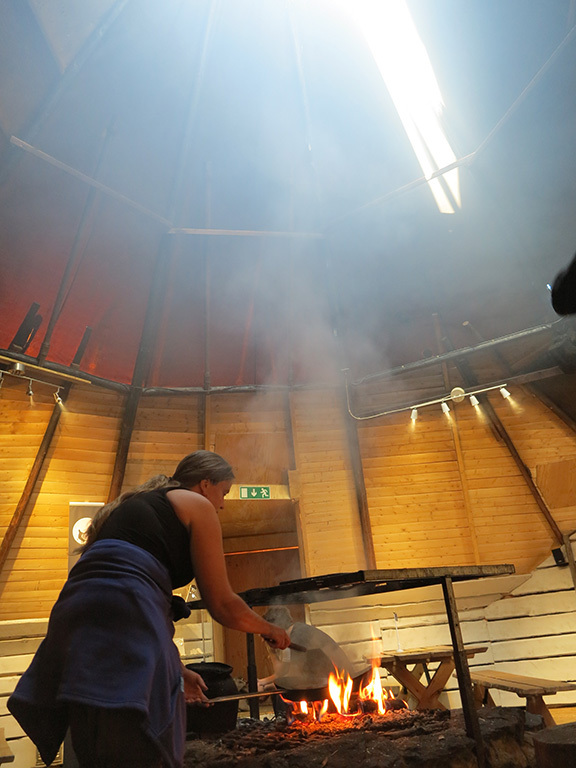 Peckish for lunch, we step into the conical Lavvu tent, where traditional Sami slow food is prepared and served by Therese. 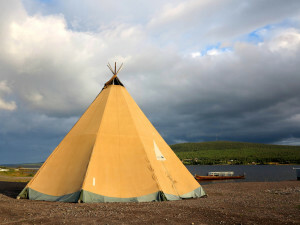 She’s a multi-talented woman and suggests we try the Suovas, which is smoked reindeer meat on flat bread and topped with sour lingenberry jam, and Gurpi – the Sami rendition of a reindeer hamburger. Dessert is Lattegat – tart yellow cloud berries that only grow in the Arctic Circle with cheese. A Sami lunch is definitely not a sandwich. The meal is prepared over a central open fire, meat sizzling in an iron pan, the smoke spiralling out the open funnelled tent top. It’s somehow all familiar, and not at the same time: the quiet of wilderness, cooking over an open fire, dining in a tent – but it’s the Arctic version of our African experiences. The red wooden Jukkasjarvi church next door is postcard pretty and is the oldest preserved wooden church in Swedish Lapland. It stands shaded by pine trees, while inside worn wooden pews and a massive mural above the alter tell of real life in the Arctic Circle. 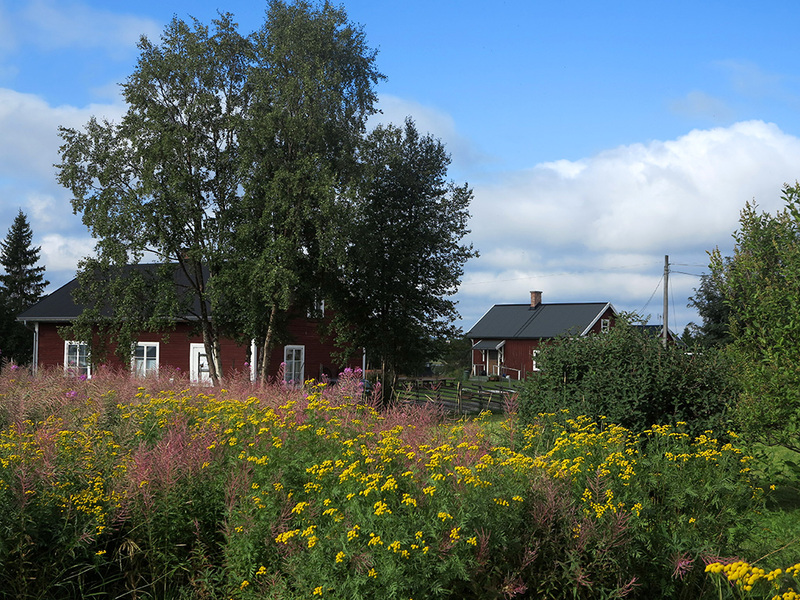 The sense of simplicity here is palpable, that life follows the rhythm of seasons, wealth is in reindeer and enjoyment, the fellowship of friends and family. You can walk everywhere in Jukkasjarvi, it’s a tiny. The butter yellow and dull red homes with triple glazing on windows and doors for torrid winters; verandas festooned with hanging candles for light on dark days; ladders up pitched roofs to clear snow and grass on others. But today doors and windows are wide open to let in the warmth of summer, gardens are bursting with colour and a riotous rainbow of wild flowers crowd in between homes. It’s completely unexpected, something like an Arctic Namaqualand. As the Arctic Circle is in constant darkness for a month or two in winter; it has eternal sunshine mid summer. So if you only go to bed after dark, the Arctic midnight sun will have you ragged in no time. For a month or so the sun will caress the horizon and then immediately rise again, as if teasing you there’ll be darkness. To sleep, homes have block out curtains and blinds but the locals are familiar with turning in while the sun still shines; for us it felt rather strange until exhaustion dictated. En route back to our summer log cabin on the banks of the Torne River, we stop at the tiny supermarket to buy fika for the afternoon. It’s a Swedish tradition to nurture blood sugar levels at four in the afternoon. Even in the capital Stockholm, work halts for fika time of cake and coffee, and then promptly resumes with renewed energy and interest. 17 hours by overnight train from Stockholm to Kiruna, or fly 2 hours on Norwegian – it’s 1 250km – then 7km by taxi to Jukkasjarvi. Through ICEHOTEL there is river surfing, fishing, rafting, zip lining, cross country cycling, learn bush craft or ice sculpting. 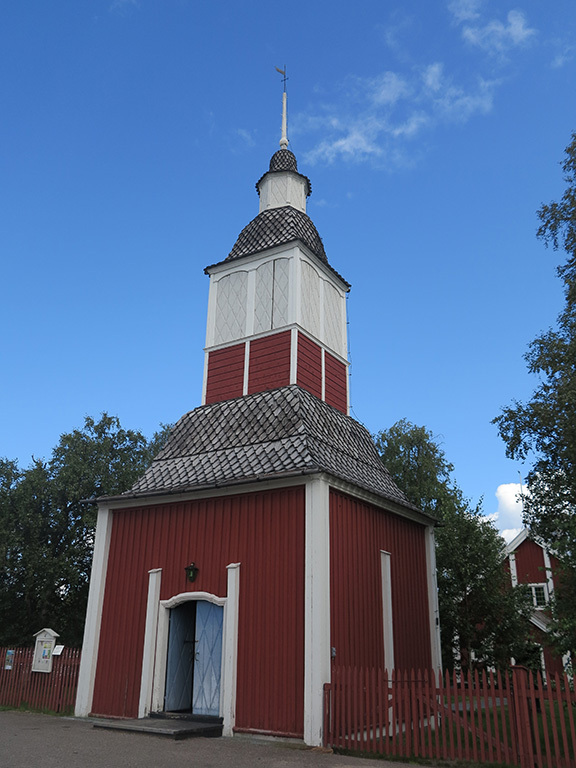 Visit Jukkasjarvi church, the Sami Museum, Sami Café for traditional crafts and meals and to see grazing reindeer.